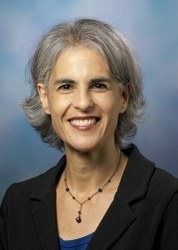 Gina Bloom joined the UC Davis English faculty in 2007. Before coming to Davis, she taught at the University of Iowa and Lawrence University. Her areas of interest include early modern English literature, especially Shakespeare and drama, gender and feminist theory, theater history and performance, sound studies, and digital arts/humanities. Her first book, Voice in Motion: Staging Gender, Shaping Sound in Early Modern England (University of Pennsylvania Press, Material Texts series, 2007), won the award for best book of the year from the The Society for the Study of Early Modern Women. Current print projects include a book about games and spectatorship in the early modern English theater. Digital projects include essays in the Folger Luminary iPad app for Shakespeare’s Midsummer Night’s Dream and a collaborative project (with students and faculty in the UCD ModLab) to produce a Shakespeare video game, Play the Knave. Bloom has held fellowships from the Institute for the Study of Humanities at the University of Wisconsin, Madison, the Folger Library, the Huntington Library, and the American Council of Learned Societies (ACLS). 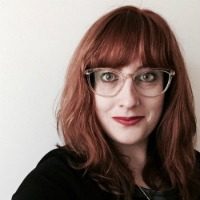 And she is the Book Review Editor for the journal Theatre Survey. She serves on the Executive Committee for the Modern Language Association (MLA) Forum on Shakespeare and is also a trustee for the Shakespeare Association of America (SAA). Claire M. L. Bourne is assistant professor of English at Penn State University (PSU), where she teaches courses on Shakespeare, early modern drama, the history of the book, and theater history. She is completing a monograph entitled Printed As It Was Played: Typographies of Performance in Early Modern England, which studies typographic experimentation and convention in plays printed between the early sixteenth and early eighteenth centuries. In chapters about special characters (¶, ☞, ❧, &c), punctuation (—, [ ], ✻, &c), scene division, and illustration, she focuses on the difficulties and creativity involved in remediating performance into readable matter and argues for the vitality of mise-en-page to our understanding of how plays by Marlowe, Jonson, Beaumont and Fletcher, Shakespeare, Dryden, and others were performed and read in the period. The book is an extension of her dissertation, which was awarded the J. Leeds Barroll Dissertation Prize in 2013 by the Shakespeare Association of America. She has received support for this project from the Folger Shakespeare Library (long-term fellowship, 2014-15), the Bibliographical Society of America (Katharine Pantzer Fellowship in the British Book Trades, 2015-16), VCU’s Humanities Research Center (residential fellowship, Spring 2016), and the Huntington Library (Francis Bacon Foundation Fellowship [short-term], 2016-17). 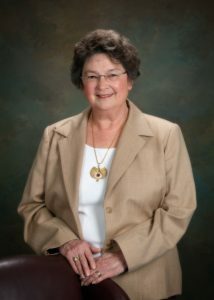 Roslyn L. Knutson, Emerita Professor of English at the University of Arkansas at Little Rock, is the author of Playing Companies and Commerce in Shakespeare’s Time (CUP 2001) and The Repertory of Shakespeare’s Company, 1594-1613 (U of Ark P 1991) A pioneer in the field of repertory studies, she has published essays on playhouse commerce in journals including Medieval and Renaissance Drama in England, Shakespeare Survey, Shakespeare Quarterly, and English Literary Renaissance. Her essays appear in collections including Shakespeare and Cultural Traditions (1994), A New History of Early English Drama (1997), Marlowe’s Empery (2002), Acts of Criticism (2005), Locating the Queen’s Men (2009),Thomas Middleton in Context (2011), Lost Plays in Shakespeare’s England (2014), and Edward II: A Critical Reader (2017). An adjunct professor at Mary Baldwin College (2009-15), she has served on the editorial board of Shakespeare Quarterly (2011-16) and the board of trustees of the Shakespeare Association of America (2003-6). Currently, with Kirk Melnikoff, she is co-editing Christopher Marlowe, Theatrical Commerce, and the Print Trade. An on-going project is the Lost Plays Database, which she founded and co-edits with David McInnis and Matthew Steggle.